In our latest video interview series, Inbound Influencers, we ask the questions marketers want answered from leading figures in the industry. "When I started inbound marketing I had tons of questions and actually, unlike most digital marketing techniques, there weren't many great resources online. So, to help anyone who is currently looking for inbound marketing answers, I started Inbound Answered - a weekly video series where I answer questions about and share my experiences with inbound marketing. I guess I have made the resource I always wanted when I was an in-house marketer." Sam Mallikarjunan, Marketing Fellow at HubSpot and editor of ThinkGrowth.org, discusses how the site differs from the content HubSpot is best known for, why they built the site on Medium and how it’s helping them compete with established management brands like Harvard Business Review. Dan Tyre joined HubSpot as a member of the original team in May of 2007, and has led the recruiting, training, and growth of HubSpot's sales team with vigour. An authority on inbound marketing and sales, Dan is a regular speaker, writer, and coach to those who yearn for inbound success. 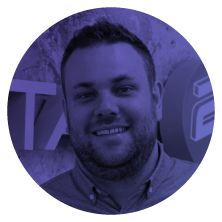 This week I had the pleasure of interviewing Luke Summerfield, founder of Growth-Driven Design, a website design process we have been utilising with our clients (and with amazing results). Do You Want To Keep Update with the Inbound Influencers Videos? Enter your email to receive all of our latest videos as soon as they get released.